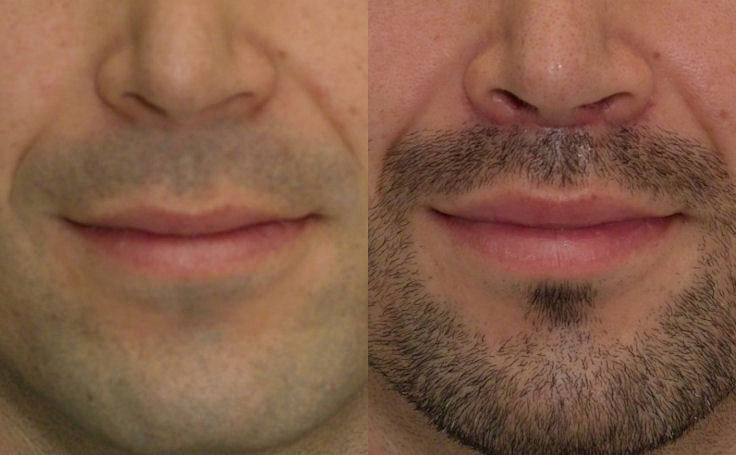 Before and after lip lift photos of a male patient who wanted a very subtle change in his upper lip position. The Lip Lift procedure slightly lifts the upper lift to give this man a more pleasing expression. 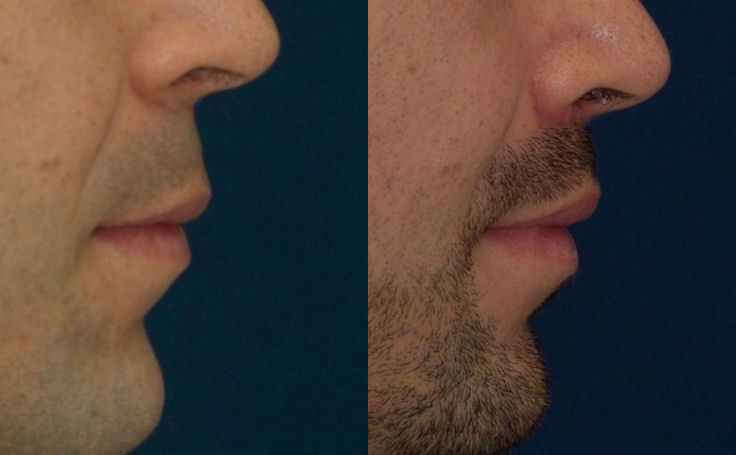 The distance between the upper lip and nose is longer in the before picture. The lifting shortens the space between the top of the upper lip and the bottom of the nose, making the lips more youthful and fuller. For more in-depth information, see Dr. Rodriguez's blog post, Lip Lift - A Technical Description of the Procedure.